The Dublin to Galway Greenway route was expected to be a major tourist attraction. FARMER ORGANISATIONS HAVE welcomed news that work on the Galway and Roscommon section of a new coast-to-coast cycle route is to be stalled. Minister for Transport, Tourism and Sport Paschal Donohoe confirmed today that funding limitations have paused development of the Greenway route in the two counties. The announcement follows feedback from local farmers who objected to the development passing through private land. Several phases of the Dublin to Galway Greenway route, which was expected to be a major tourist attraction, have already been completed. Donohoe said the project will now focus on developing the section of the route from Maynooth to Westmeath, through Kildare and Meath, which is expected to be completed in 2017. Reacting to the announcement, the Irish Cattle and Sheep Farmers’ Association (ICSA) and Irish Farmers’ Association (IFA) blamed a lack of consultation for disruption to the planned route. “This is a vindication of people power in [a] region where farmers standing together have achieved a result,” Patrick Kent of the ICSA said. Farmers are not against this objective per se but it is now clear that any future plans need to be teased out through a proper consultation process with landowners first and foremost. The mistake that has been made is that a top-down approach was taken with the employment of expensive outside consultants who were operating on the basis of maps and theory but who had little regard for local communities. Harold Kingston of the IFA called for “a robust package of measures” to be made available to farmers affected by greenways throughout the country. Today’s decision, he said, “has been taken because local authority officials and representatives from [Transport Infrastructure Ireland] failed to adequately and professionally engage with landowners in the planning phase” of the project. Email “Farmers throw spanner in the works of coast-to-coast cycle route plans”. 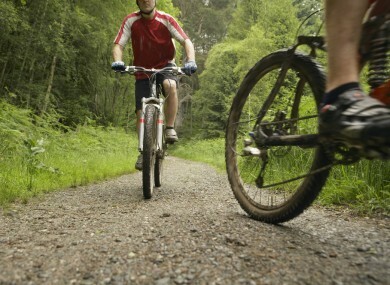 Feedback on “Farmers throw spanner in the works of coast-to-coast cycle route plans”.